Elite Cruise Winner receives a Carnival Cruise Vacation of a lifetime- ON STAGE! Compete in Natural Beauty, OR Glitz Beauty or BOTH to increase your chances at amazing Supreme Titles! Over $3000 in Cash will be awarded on stage + National Jackets + amazing prizes. Join our Elite Cruise Ultimates List and take your own SEA CRUISE! EARLYBIRD #2 ends March 1st. 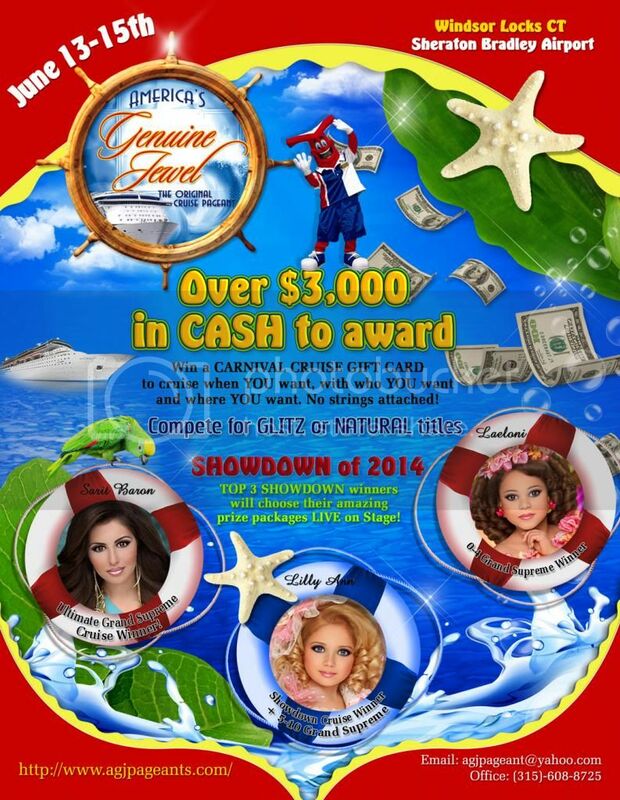 Send your $104 deposit via paypal to agjpageant@yahoo.com to receive the Supreme Package for only $350.